Sunday Salon: Christmas Lights Up! Got some multi-colored lights put up on the tree in front. Let the holiday festivities begin! 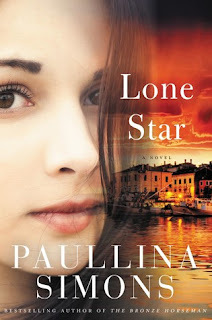 (T)he unforgettable love story between a college-bound young woman and a traveling troubadour on his way to war—a moving, compelling novel of love lost and found set against the stunning backdrop of Eastern Europe. In April of 1846, twenty-one-year-old Sarah Graves set out west from Illinois with her new husband, her parents, and eight siblings. Seven months later, after joining a party of emigrants led by George Donner, they reached the Sierra Nevada Mountains as the first heavy snows of the season closed the pass ahead of them. In early December, starving and desperate, Sarah and fourteen others set out for California on snowshoes and, over the next thirty-two days, endured almost unfathomable hardships and horrors. These books are to be released in a week, December 1, 1015. They do look good! 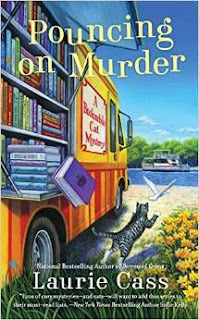 Pouncing on Murder by Laurie Cass, the fourth in the Bookmobile Cat Mystery. Springtime in Chilson, Michigan, means it's librarian Minnie Hamilton's favorite time of year: maple syrup season! 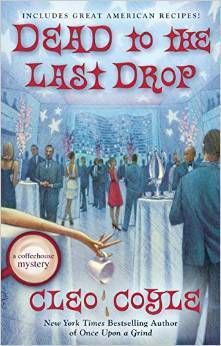 But her excitement fades when her favorite syrup provider, Henry Gill, dies in a sugaring accident. 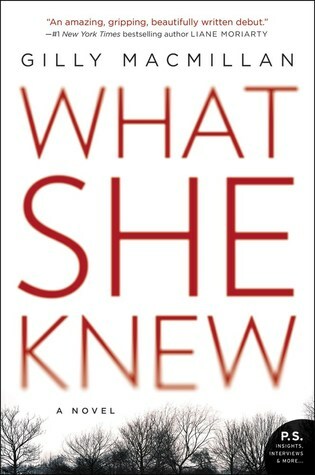 What She Knew by Gilly Macmillan, William Morrow Paperback. What books are you waiting for to be published? From the doorway I can already smell the scent of old books, a perfume of crumbling pages and time-worn leather. The other antiques stores that I've passed on this cobblestoned alley have their air conditioners running and their doors closed against the heat, but this shop's door is propped open, as if inviting me to enter. It's my last afternoon in Rome, my last chance to pick up a souvenir of my visit. Already I've bought a silk tie for Rob and Lily, but I haven't found anything for myself. In the window of this antiques shop, I see exactly what I want. "Beware the ignorant, Lorenzo. They're the most dangerous enemy of all, because they are everywhere." 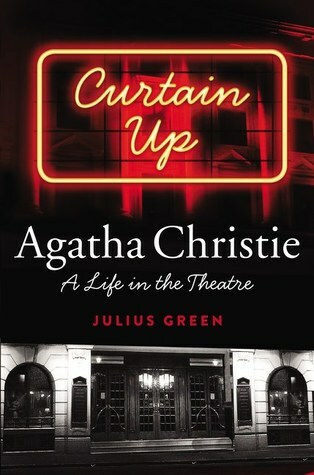 I have just gotten the book from the library and am looking forward to reading it, having read a few of her other books. I guess her space thriller, Gravity, was published before the movie with a similar plot was made. Here's a description from goodreads of her 2004 book: An experiment on micro-organisms conducted in space goes wrong. The cells begin to infect the crew with deadly results. Emma Watson struggles to contain the deadly microbe while her husband and NASA try to retrieve her from space, before it's too late. Sounds thrilling. What are you reading this week, and would you read Playing with Fire based on the beginning and teaser? 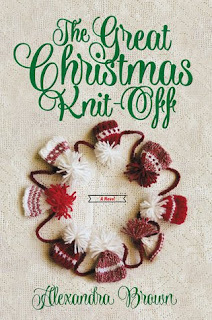 It's snowing in November, and it's quite pretty outside, but.....too soon, I am thinking. But it doesn't matter if it's colder, we are still painting that bedroom today. Two books came in. 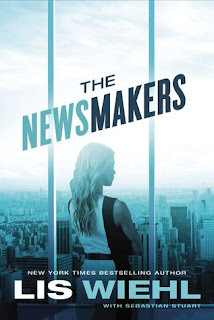 One a drama set in a newsroom, always good fodder for a novel. The other is a South American crime novel. 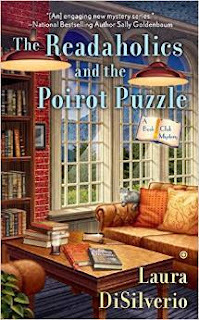 When a Buenos Aires industrialist is found dead in an exclusive gated community called La Maravillosa, the novelist Nurit Iscar (once nicknamed Betty Boo owing to a resemblance to the cartoon character Betty Boop) is contracted by the editor of a national newspaper, to cover the story. Nurit teams up with the paper’s veteran crime reporter. Soon they realize that they are falling in love, which complicates matters deliciously. Television reporter Erica Sparks has just landed her dream job at Global News Network. Erica moves to Manhattan to join GNN, leaving Jenny, her adored 7-year-old daughter, in the custody of her ex-husband. Erica witnesses a horrific Staten Island ferry crash. Then she lands a coveted interview with presumptive presidential nominee Kay Barrish. During the interview Barrish collapses. Erica valiantly tries to save her with CPR. The footage rivets the world—GNN’s ratings soar and Erica is now a household name. What a strange coincidence that both events should happen on her watch. It’s almost as if they were engineered. Erica’s pursuit of the truth puts her life and that of her daughter in danger. Both of these novels sound riveting. Hoping to read them before they are published next year. Am still reading that thick novel, The Bone Tree by Greg Iles, and glad to say I'm a little more than half way through. Picked up another crime novel, this one set in Thailand, The Hot Countries by Timothy Hallinan. Christian Thydell’s debut novel, The Mermaid, is published to rave reviews. So why is he as distant and unhappy as ever? 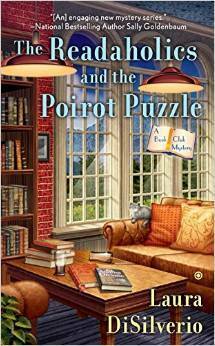 I seem to have all mystery novels this week. I guess they are still among the books I prefer reading, though women's fiction comes in a close second. What are your reading preferences this week/month? On days in August when sea storms bite into the North Carolina coast, he drags a tick mattress into the hall and tells his daughter stories, true and false, about her mother. The wooden shutters clatter, and Tabitha folds blankets around them to build a softness for the storm. He always tells of their courting days, of her mother's shyness. She looked like a straight tall pine from a distance; only when he got close could he see her trembling. Above decks he takes his plate of meat and bread and accepts the stares of the seamen, who know he carried the fever onto their ship. I haven't read many books on this time period, the days at the end of the American Revolution and right after, The writing captured my attention and I'm eager to read it though I got the ARC about a year ago. What book are you sharing this week? Sunday Salon: Vive la France! I am still reading The Bone Tree by Greg Iles, the second in the trilogy based on the Civil Rights era of the 1960s, the murders of civil rights workers in the south, and theories linking a New Orleans Sicilian mobster and the death of President John F. Kennedy. I also have three nonfiction books that I''m slowly getting through. I have read this one before but am eager to reread it. 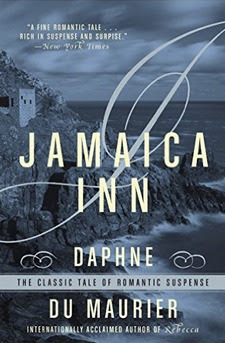 Du Maurier wrote such wonderful romantic suspense, such as this one set on the Cornish coast. 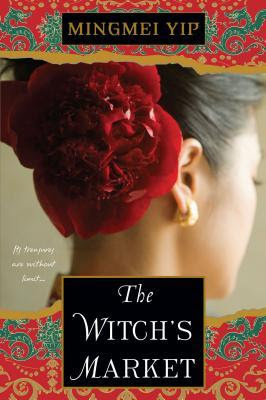 The Witch's Market by Mingmei Yip, to be released November 24, 2015 by Kensington. 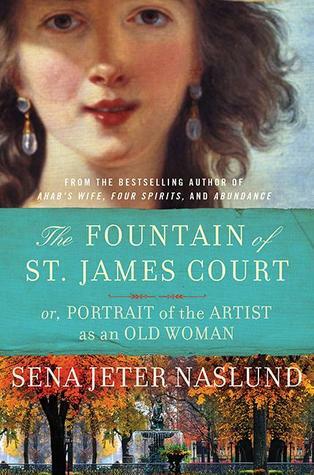 Set in the Canary Islands, the novel deals with a research project on witches by a San Francisco professor. It involves a journey of intrigue, romance, and self-discovery. The book was sent by the author for review. 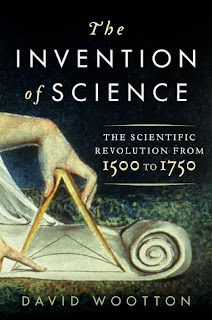 I am looking forward to reading it. 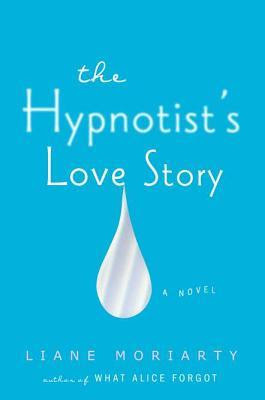 The Hypnotist's Love Story by Liane Moriarty, published June 14, 2012 by Penguin Adult. Ellen O’Farrell is a professional hypnotherapist who works out of the eccentric beachfront home she inherited from her grandparents. It’s a nice life, except for her tumultuous relationship history. When she meets Patrick, she’s optimistic. He’s attractive, single, employed, and best of all, he seems to like her back. Then comes that dreaded moment: He thinks they should have a talk. It turns out that Patrick’s ex-girlfriend is stalking him. Ellen thinks, Actually, that’s kind of interesting. She’s dating someone worth stalking. She’s intrigued by the woman’s motives. In fact, she’d even love to meet her. I had never been hypnotized before.I didn't really believe in it, to be honest. My plan was to lie there and pretend it was working, and try not to laugh. He said, "She's calling off the wedding? Because of you?" 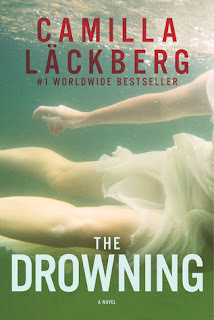 I've read three of Moriarty's other books and really liked What Alice Forgot (review) and Big Little Lies. I hope this one will be just as good. A few books came in the mail last week, after a spell of "empty mailbox." 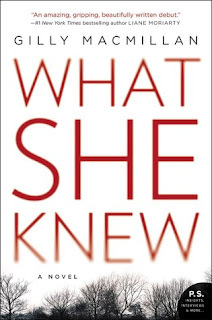 The new arrivals are two ARC non-fiction and mysteries from the publisher for review. (T)he Scientific Revolution, and how it came to change the way we understand ourselves and our world. 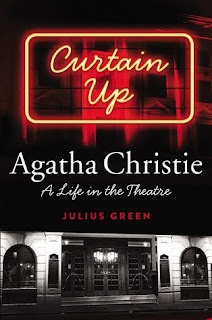 Julius Green raises the curtain on Christie’s towering contribution to popular theatre, an element of her work previously disregarded by biographers and historians. I could consider myself a readaholic, as do most book bloggers, and was drawn to the title of this new series! Currently reading: I am now listening to an audio book, Big Little Lies, women's fiction by Liane Moriarty and finding the three main characters very interesting. 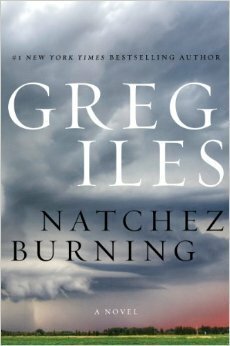 Finished: I have just finished Greg Iles's suspenseful Natchez Burning and want to read the next in this trilogy of the southern states during the Civil Rights era of the 1960s, The Bone Tree. The weather is getting cooler and so the flannels are coming out. Reading weather! How about your reading? He came over the border as the lights were about to be dimmed, with the last of the migrants trailing their stringed boxes. With them came gamblers from the air-conditioned buses, returning short-time exiles tumbling out of minivans with microwaves and DVD units. The border forced them all into a defile in the rain. The gamblers complained about their summary treatment while opening plastic umbrellas provided by the tour company. It seemed a shame to them that the casinos on the other side could not manage it better. Their Bangkok shoes began to suffer in the coffee-colored mud. Between the two posts the ground was already filled with pools and the dogs waited for the money. The hustlers and drivers were there, silently smoking and watching their prey. The officer ripped away his departure card in the Thai hut and his passport came back to him and he set off for the further side lit up by the arc lamps. "Adrift in Cambodia and eager to side-step a life as a small-town teacher, 28-year-old Englishman Robert Grieve decides to go missing. As he crosses the border from Thailand, he tests the threshold of a new future. 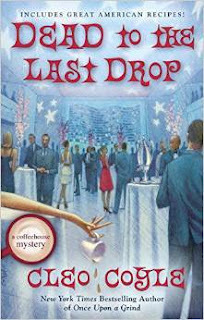 A small windfall precipitates a chain of events-- a bag of “jinxed” money, a suave American, a trunk full of heroin, a hustler taxi driver, and a rich doctor’s daughter-- that changes Robert’s life forever. "I know a place you could go. Right on the river." I am eager to read this novel of escape and suspense - a young man having quite an adventure while looking for a different kind of life. More people traded directives, divvying up territory. They were off-duty guards and teenage sons who called Alcatraz their home, an odd place where a maze of fencing and concrete kept families of the prison staff safe from the country's most notorious criminals. 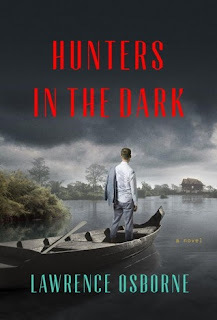 My summary and comments: Young Shanley Keagan travels in the mid-1930s from Ireland to New York and finds himself alone after the death of his uncle on board ship. He is unofficially adopted by an Italian-American family until he is grown and can fend for himself. However, Shanley, now known as Tommy Capello, unwillingly and unwittingly becomes embroiled in a crime, trying to save his Italian brother, and finds himself jailed on the infamous Alcatraz Island in San Francisco. The second half of the novel details Shanley's life on Alcatraz and life in general for other inmates as well as prison guards and their families who live on the island. 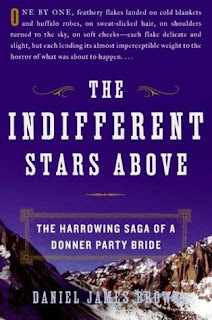 Shanley's friendship with the young daughter of a prison guard and attempts to escape provide suspenseful reading toward the end of the book. 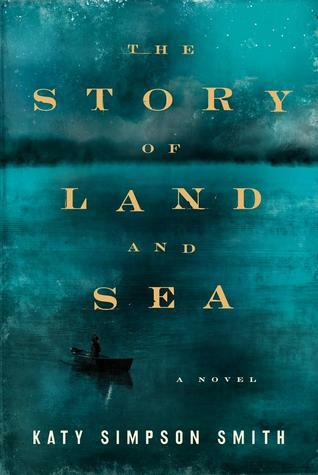 I enjoyed the story of a young Irish immigrant and his travails as a newcomer to America. The book is well researched and gave me a good look at the hardships of immigration at that time for several ethnic groups, among them the Irish and the Italians. Life on Alcatraz, for inmates as well as the prison staff is fascinating in its detail. 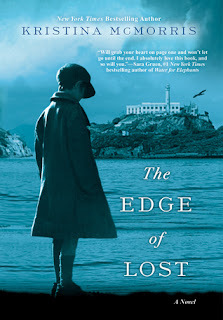 The story kept me in suspense as you root for Shanley trying to cope with prison life and then deciding to plan escape through the shark-infested and cold waters around Alcatraz, an almost impossible attempt that many had tried unsuccessfully. Recommendation: If you have ever wondered about Alcatraz and its history, and you like a good historical novel with a suspenseful plot and interesting characters, read this. What do you think of the opening paragraphs? This novel is set with the backdrop of Mississippi in the 1960s during the time of the Civil Rights murders and the activities of the KKK and its offshoots. Fascinating story, based on fact, I assume, though the particular incidents and characters are fictional. I didn't realize that the author Iles has written other novels featuring his main character Penn Cage. 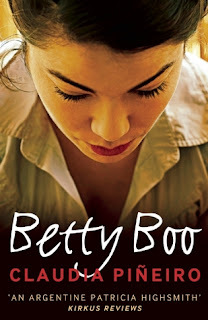 The second novel in this trilogy, The Bone Tree, was published April 21, 2015, and the third is due next spring. 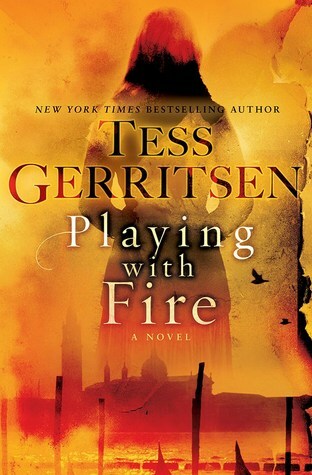 I am finding Natchez Burning very well written and engrossing and look forward to the sequels. 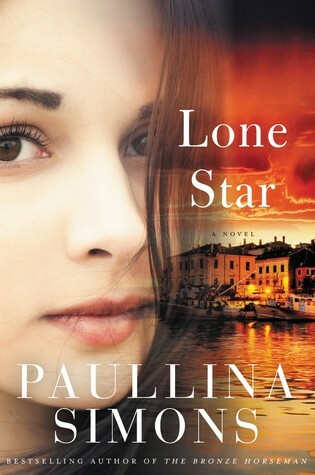 The goodreads readers didn't take to this novel, but I'm eager to see how I will like it. I have only read two chapters so far. There are more goodies on my shelves that I hope to share with you over the course of the winter. What are you reading these days?